Best Long Term Investment Plans will help you grow your corpus multi-fold. You can take the advantage of Compounding in Long Term Investments. You should carefully invest your corpus fund in best long term investment plans. If you commit a mistake a now, it will be considered as the mistake of a lifetime. So Be careful with Long Term Investments. Before you start planning for Long Term Goals, you should establish Emergency Fund. How Long is a Long Term Investment?… 5 years and more is considered as Investment Horizon for Long Term Investments. Below that is considered as a Short Term and Medium Term Investments. Long Term Investments usually need a lot of patience. Especially Long Term Investment in Stock Market needs a lot of patience and discipline. While Investing the lump sum money that is available to deploy into selected Long Term Funds, you need to save money regularly and invest the monthly savings into Mutual Fund SIPs or Bank RDs. Children Marriage – Where Child is below 15 years and you feel that the goal should be achieved in next 6 to 25 years. Children Education – Where Child is below 10 years old and after 6 years he/she will need cash for Graduation. Even though primary education could cost a decent amount of money, Graduation, like Medicine cost Crores of Rupees now and in the future. Retirement Planning – Retirement Planning is most needed to ensure a smooth and hassle-free post-retirement life. Margin Money/ Downpayment For Housing Loan to Construct/ Buy a House – If you are planning to construct a house in a vacant that you already own or buy a house that already built. If the estimated cost of construction or purchase is 50 Lakh Rupees. You approached a bank for a housing loan. Bank will require you to contribute a certain amount to sanction loan. It can be in the range of 10% to 25% of the purchase price depending on your bank or Housing Finance Company and your credit history/ income. If you need to contribute 20% as margin money, you need 10 Lakh Rupees. So, you can start investing and achieve the goal in 6 or later. This kind of goals requires a long-term investment plan. 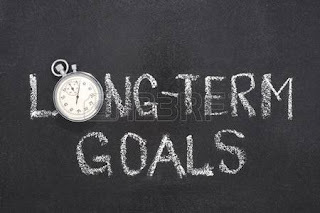 To achieve these goals, you need to select Best Long Term Investment Plans. You can choose some risky options, like, investment in stocks because of the investment horizon available. But always keep in mind that diversification of the portfolio is essential. Invest some portion in risky assets and some portion in safe options available like PPF or Bank FDs. 1. Public Provident Fund (PPF): – PPF is the most popular Long Term Investment option available in India. You can make a lump-sum investment every year or in 12 installments. You can deposit up to Rs.1,50,000 every year as lump-sum or 12 installments. The amount invested in PFF account qualify for deduction from income under Sec. 80C of IT Act. Interest rate usually ranges between 7.5 to 8.5% per annum (compounded yearly). Interest is completely tax-free. Maturity period is 15 years but the same can be extended within one year of maturity for further 5 years and so on. Premature closure is not allowed before 15 years. Withdrawal is permissible every year from the 7th financial year from the year of opening account. Loan facility available from the 3rd financial year. PPF investment offers safety and is the backed by Government of India with attractive interest rate and returns that are fully exempted from Tax. This is the Safest Long Term Investment Option available for investors in India. It is best suitable for investors with Low-Risk appetite. Investors with a high-risk appetite can invest a small portion (say a 10% of monthly/ yearly savings) in Public Provident Fund account. 2. Gold as Long Term Investment: – Traditionally Investment in gold is considered as a hedge against inflation. Over a period of time, the return on gold investment is in line with the rate of inflation. If you have invested a lot of money in stocks, it is best to invest in gold because gold and stock market returns are negatively correlated. During the 2008 stock market crash, people have disinvested money by selling their stocks and invested that money in gold. During 2006 to 2011 period, Gold has given an average return of 29% per annum. So having gold investment will diversify your Long Term Investment portfolio. However, the long-term average return on gold investment is less than 10% p.a. Historically, from 1969 until 2013, the inflation rate in India averaged 7.7%. So, gold is an investment opportunity to beat inflation. There are 4 ways to invest in gold. a) Buying Jewellery – Buying gold ornaments is not all a good option to invest in gold. When you try to sell them, jeweler buys it below market rates and deduct those making charges from the total price of your ornament. b) Investment in Gold Coins and Bars – It is a better option over buying Jewellery. a & b offer investment in gold in physical form. Related Post: How To Choose Best Investment Plans/ Option? c) Gold ETFs – Gold Exchange Traded Fund is a type of mutual fund which in turn invests in gold and where each unit is equivalent to one gram gold. Buying gold ETFs means you are purchasing gold in an electronic form. You need to buy Gold ETFs from the stock exchange by way of opening a Demat account and trading account. d) Gold Fund of Funds – Gold Fund is a Fund of Fund which will invest in Gold ETFs on behalf of you. The best part here is that you do not require holding any Demat a/c here. So How Much you can Invest in Gold for Long-Term Investment Portfolio? I recommend 5 to 10%. Anything more than this will reduce the total portfolio returns. 3. Bank FDs: – If you are so risk averse and looking for a Safest Long Term Investment Option, you can choose this option. Banks offer 7 to 8% interest rate. This is not a Best Long Term Investment Plan. You can invest 5% of your portfolio if you have a very large corpus. For small investors, this option is not recommended. 4. Bonds: – Bond investment is another Safe Long Term Investment Plan. Bonds are issued by Government of India. A 10-year government bond offers an interest rate of 7 to 8%. 5. Stock Market Investment: – Investing money in stocks is the Best Long Term Investment Option. Investors with a high-risk appetite can invest in individual stocks. Stocks market has generated highest returns in the past among all other Best Long Term Investment Options. 6. Mutual Fund Investment: – Mutual Fund Investment is best for the investors who are not able to buy stocks on their own and can’t focus on the investments from day to day basis. Mutual Funds has generated over 12% returns over the long term. You can invest lump-sum in different funds or you can choose to invest in SIPs. It is a Best Long Term Investment Plan & one-time investment plan available in the market. People who have received huge cash benefits from prior investments can invest in real estate. 8. Corporate Bonds: – Corporate bonds are issued by the companies to raise funds by offering some interest rate on the amount deposited. While choosing to invest in these bonds, You need to check the repayment ability of the company. Usually, top rated companies offer less interest rate, companies with lower rating will offer higher interest rate. Don’t fall for the higher interest rate trap. Only chose the best company among the available. My Views: – I have listed the Best Long Term Investment Plans in India above. Among these options, 1 to 4 are categorized as safe long term investment options while 5 to 8 are considered as investment plans for high risk and good returns over the safe options. PPF, Gold, Bank FDs, Bonds are considered as best safe Long Term Investment Options. If you have large to the very large corpus, you can invest in various assets like these. If you are a small investor, the strategy of diversifying just for sake of diversification could hurt long-term returns. Small investors shouldn’t heed the advice of diversification and invest in all long Term Investment Options. They should focus on optimizing returns and meeting financial goals.